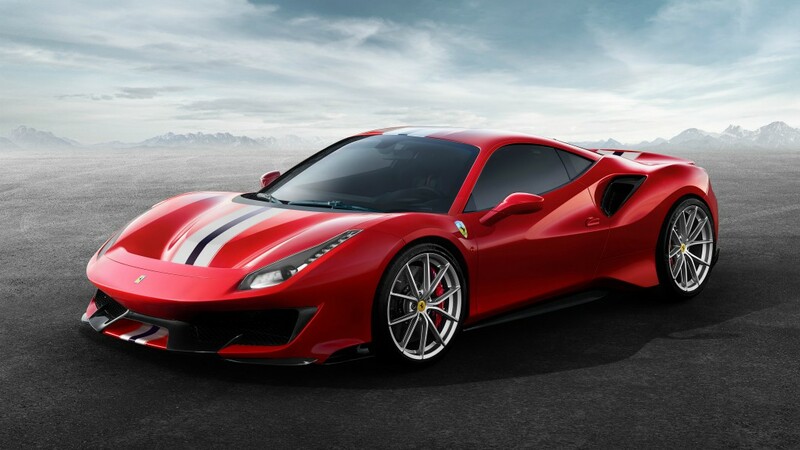 The new Ferrari 488 Pista is the most powerful vehicle ever to have come out of the Italian brand's factory. A few years ago, Ferrari launched the 488 GTB, which was the replacement for the 458 – a tough act to follow, as the 488 GTB has been the best Ferrari for many years. 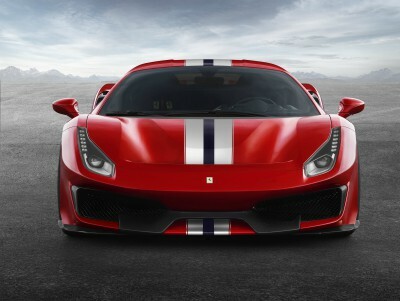 Now, after being officially launched at the Geneva International Motor Show, Ferrari are pushing out the Ferrari 488 Pista, the successor to Ferrari’s V8-engined special series – the 360 Challenge Stradale, 430 Scuderia and 458 Speciale – which all received critical acclaim for their performance and handling. The Ferrari 488 Pista marks a significant step forward from the previous special series. The car’s development evolved directly from the company’s involvement in the FIA World Endurance Championship, where it has won five manufacturers’ titles in the GTE class in the six years since the series’ inception, taking 29 out of 50 races, and from its 25 years’ experience in running the Ferrari Challenge one-make series. The 488 Pista is the most powerful V8 in Ferrari history, and with the 90kg weight saving over the 488 GTB, it now pumps out an extra 50 horsepower, now giving an impressive 710bhp. 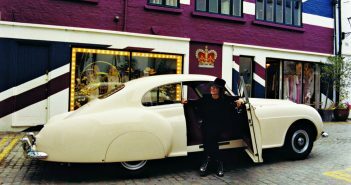 And when it gets going, the engine sound is unique, and unmistakably Ferrari. The Ferrari 488 Pista makes full use of Ferrari’s motor-sports experience for maximum aerodynamic performance, even on the road. 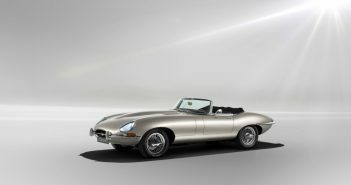 F1-inspired features ensure this car enhances the pleasure of driving and makes it perfect to drive for both professionals and those lucky enough to be able to own one of these for the pure pleasure of driving. Not only does the car drive well and sound amazing, but it looks the part, too. The racing livery colour scheme is an integral part of the design of the car, the front end with its floating wing effect which is echoed in the dolphin-tail rear spoiler, which appears suspended. 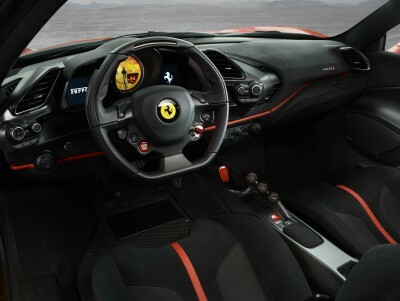 The design is beautifully finished off with the adoption, for the first time on a Ferrari, of optional new 20” carbon-fibre wheel rims, while other carbon-fibre parts include the engine cover, bumpers and rear spoiler.